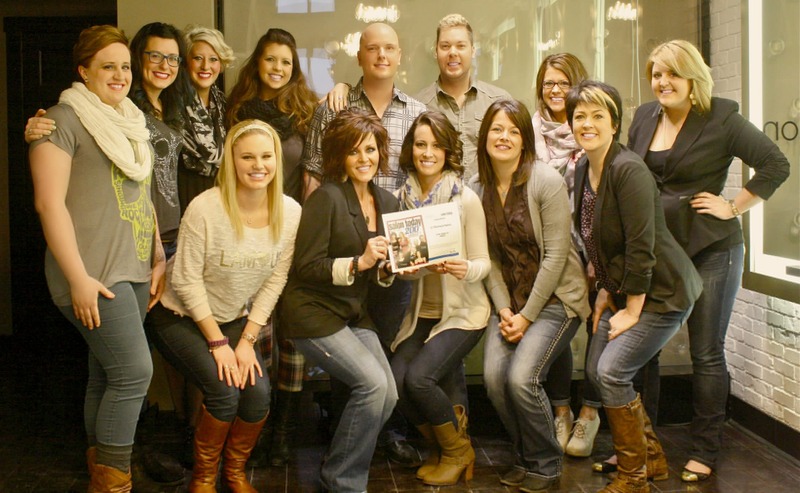 G Michael Salon In Indianapolis, Indiana is named a Top 200 Salon in the Country by Salon Today Magazine. For a salon to be named to the SALON TODAY Top 200, it had to meet the following criteria: 1) The salon or spa opened on or before January 1, 2011. 2) The salon is a provider of professional salon services including one, or more, of the following: hair care, nail care, skin care, body care or spa treatments; 3) The salon or spa generated annual service and product sales revenues of at least $250,000 per year since 2011; 4) The owner provided statistical information about his or her business and completed at least one of the Best Practice category essay sections; and 5) The applicant submitted documentation to verify financials if he or she competed in the growth or planned profitability categories. In the commemorative January/February 2014 issue, SALON TODAY profiled 200 individual salons, although these salons could be honored in more than one category. The 2013 SALON TODAY 200 honored 101 salons in Growth; 20 salons in Advanced Education; 26 salons in Compensation & Benefits; 28 salons in Customer Service; 23 salons in Environmental Sustainability; 24 salons in Philanthropy; 17 salons in Planned Profitability; 32 salons in Recruitment and Training; 19 salons Retail & Merchandising; 18 salons in Retention & Referral Programs; and 17 salons in Technology. Salon Today is a division of Modern Salon Media, which is owned by Vance Publishing Corporation in Lincolnshire, IL.